As Oregon and Colorado close in on election day, voters in these states are deciding whether to label GMOs in their food supplies by voting for ballot initiatives 92 and 105 (respectively). 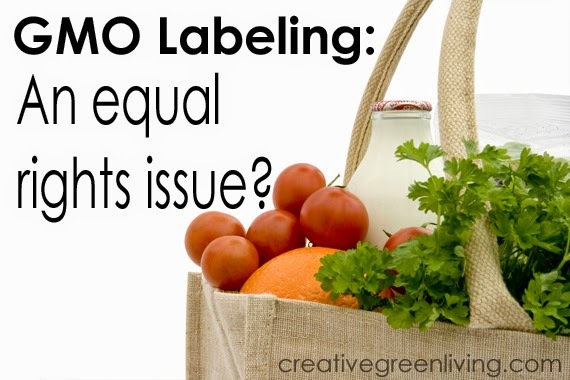 Pro-labeling citizens say that they have a right to know if they are purchasing food containing GMOs for a myriad of reasons. Some cite health concerns associated with eating GMOs. Some are concerned with the increased exposure to pesticides that comes hand in hand with many GMO crops. Some simply believe that more transparency is better. The opponents of labeling, on the other hand - namely Dana Bieber, a paid spokesperson from Washington state (read: neither an Oregonian nor a Coloradan) - like to say that if consumers are looking for GMO free foods, they are already available. Those consumers, they say, should purchase only USDA Organic or Non-GMO Project certified foods. Stated simply: To insist that only those families able to afford an all-organic diet should have access to information about whether or not their food contains GMOs is elitism at its worst. Families working hard to pay down student loan debt. If you belong to one of these groups of people, you apparently don't deserve to be informed about the kinds of foods you buy to feed your family. The truth is that thousands of food products that do not contain GMOs are neither labeled as organic nor Non-GMO Project certified. Each of these labeling programs is costly to food producers and that results in these foods being sold at a premium price. Consumers currently have no way to know which non-organic products are GMO free because labeling the presence of GMOs isn't required. Independent groups such as Consumer Reports have looked at this measure and determined that it will not raise the price of food despite fear mongering ads claiming cost increases in the triple digits. Because costs will not increase, there is simply no good reason not to label GMOs. Fellow Oregonians, please join me in voting YES on 92 - because everyone should have the right to know what's in their food. Not sure what a GMO is? See my crash course on GMOs: Everything You Wanted to Know About GMOs but Were Afraid to Ask. 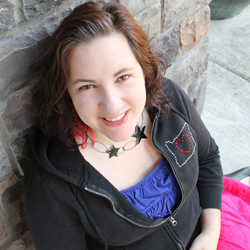 Carissa is an Oregon mom to two energetic boys. She passionately believes every Oregonian has the right to be informed about the food they are purchasing - not just those wealthy enough to afford an all-organic diet. We Oregonians have a right to know what's in our foods, the foods we feed our families. Vote YES on Measure 92. Thank you! Great article, well said. I just shared on Twitter. I'm phone banking with Yes on 92 all week to make sure our supporters turn in their ballots.